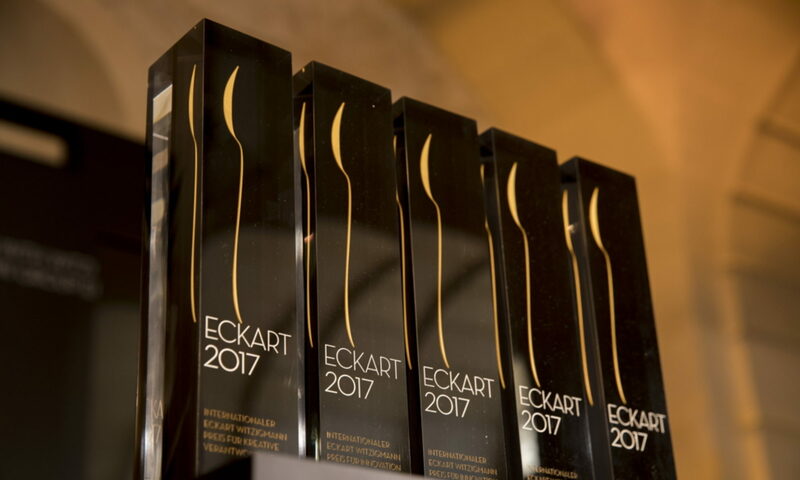 The International Eckart Witzigmann Award is awarded in partnership with the state of Baden-Württemberg and Tourism Marketing GmbH Baden-Württemberg, who convey the topic of the land of connoiseurs in a particularly commited and successful way. The award winners in 2010 continue the series of outstanding award winners of the past five years, including Ferran Adrià, Marc Haeberlin, Thomas Keller, Frédy Girardet, Harald Wohlfahrt and Hiroyuki Hiramatsu, as well as Carlo Petrini, Günter Grass, Dieter Kosslick and Daniel Spoerri. HRH Prince Charles of Wales is receiving the International Eckart Witzigmann Award 2010 for his outstanding contributions to sustainable agriculture and food production. He himself practices organic farming on his estates and is a champion of biological diversity and of the protection of natural resources. Through his patronage he has helped enable the breakthrough of the idea of Terra Madre, the global network of farmers, food artisans and gastronomes. “There is no good kitchen without good, clean and fair products, and for this reason cooks all over the world owe him a debt of gratitude,” the certificate states. Juan Mari Arzak and his daughter Elena jointly operate the Restaurant Arzak in the Basque city of San Sebastián. Juan Marie took over the restaurant in 1967; it was founded in 1897 by his grandfather. Prior to that he had learned from famous French chefs such as Bocuse, Troisgros, Senderens, Boyer and Arrambide gelernt. His daughter Elena later also worked in famous restaurants such as Gagnaire, Bras, El Bulli and Dutournier before returning.